The Utkal University founded on 27.11.1943 is the mother University of Odisha. 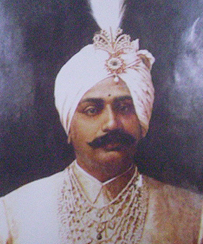 Pandit Nilakantha Dash, Maharaja Krushna Chandra Gajapati and Pandit Godavarish Mishra, amongst other doyens of modern Orissa, played a leading role in the establishment of the University. On 27th of Nov 1943, the Utkal University started functioning at Ravenshaw College ( now University), Cuttack. Dr. Rajendra Prasad, the first President of India, laid down the foundation of the present 400 acre sprawling campus on 1st January 1958. The University thereafter was singularly honoured when a great educationist Dr. Sarvapalli Radhakrishnan, the second President of India inaugurated the present campus at Vani Vihar on 2nd January 1963. It was originally an affiliating and examining body only. A number of Post-Graduate Departments and other centers were established in the University Campus. There are more than three hundred general affiliated colleges under the University. The University has 15Autonomous Colleges under its jurisdiction. It has 27constituent Post-Graduate Departments, 2 Constituent Law Colleges, a Directorate of Distance & Continuing Education and a number of centers like Population Studies, School of Women's Studies, Ambedkar Study and Social Exclusion and Inclusive Policy Study , an Academic Staff College, a Pre-School and a High School etc. The University offers number of Self Financing Courses. Utkal University is recognized by the UGC. It is a member of the Indian Association of Universities and Commonwealth Association of Universities. Utkal University has been reaccredited by NAAC with A+ Grade in December 2017 for a period of five years.